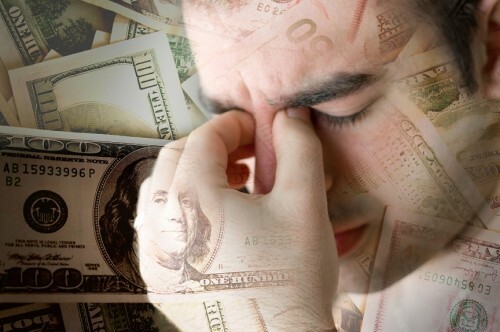 Stressing about money has become a common reason for people to seek therapy, although not everyone has medical insurance and can afford therapy there are free counseling lines which have also experienced a dramatic increase in people seeking advice on how to deal with money stress. The article on Mint Life provides a few easy to follow tips on how to handle this every day phenomena. The steps to easing your money stress may not be easy to implement initially, but developing the skills will only make you happier and provide you with financial security. Identify your problem areas: Examine your bank statements, credit card bills, debts etc. realistically. Identify problematic habits: Spending money is often directly linked to emotion, find out which emotional spending habits are problematic to your financial well-being. Communicate with your partner: It is important to keep the lines of communication open between yourself and your partner, being able to voice your concerns, identify problem areas and discuss the various solutions to the problem strengthens your relationship and it is the recipe to happy financial situations within a relationship. Strict Budgeting: Set a budget and be very strict with yourself about keeping to the budget. Now that you have identified your problem areas you can adapt your life to accommodate the changes and eliminate your problem areas. Save: Make sure that you allocate money towards savings in your budget. These savings can be for emergencies or towards your goal of purchasing a new car or going on holiday, but it is essential that you budget to save on a monthly basis. You will have to change your lifestyle to suite your affordability, but remember that with these changes you will be able to indulge once your money stresses are eliminated and with working towards a goal that is a reward for your hard work. I’m new to your blog and I just wanted to say great tips – particularly communication with your partner. :) Money stress has followed me around for many years and it was only in January when my husband and I had a lightbulb moment about living our lives in debt that I could at last see the wood for the trees regarding money. Since taking control of my finances, putting together a painfully realistic budget and sticking to it, I’ve been a lot happier knowing that I’m actively doing something towards turning my financial situation around.